About Us | San Antonio, Texas | Stonebridge Behavioral Health, P.A. Stonebridge Alliance, LLC is the consulting arm of Stonebridge. It has developed cutting-edge technology (STARS) to enable various contributors and stakeholders to share a common workspace and to collaborate in meeting the needs of clients in an integrative fashion. STARS is HIPAA compliant, designed to conform to a bio-psychosocial model of evaluation and treatment and reconfigured quickly and inexpensively across a wide range of healthcare and other business settings. If you are interested in learning more about STARS and its potential impact on your organization, please email Kirk L. Coverstone, Ph.D. at kcoverstone@stonebridgealliance.com or call 866-720-6792. Stonebridge Behavioral Health is the clinical arm of Stonebridge and was founded in 2003 to address the need for quality mental health services throughout Texas. With the sweeping changes brought about by the Texas Legislature in 2005 affecting the delivery of foster care services, temporary shelters and child protective agencies began to experience exponential growth. This created an increased need for high-quality assessment and psychotherapy services for the children in their care. Because of the urgency involved in placing children, these agencies needed services on a large volume basis with quick turnaround and high-quality. Stonebridge Behavioral Health responded by working with experienced mental health professionals. Today, we serve a myriad of agencies throughout South, Central, and West Texas and have made a difference in the lives of thousands of children. 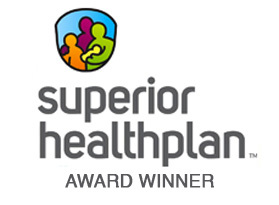 “Superior is proud to recognize Stonebridge Behavioral Health for its work in serving members in Superior’s foster care program,” said Dr. David Harmon, Chief Medical Director at Superior HealthPlan.”From the high-quality assessment services to the stability and consistency that Stonebridge provides for our members, they are helping to transform the health of the foster care community, one child at a time.” Read the full award here. Our mission is to provide comprehensive mental health services tailored to the needs of child protective and foster care agencies and the families they serve. Too often, critical linkages need to be established between patients, referring physicians, and third-party pay sources. When these linkages or “bridges” are not built, patients often fail to recover. Many such breakdowns exist when physical disorders cause or worsen a patient’s nervous or emotional condition. For these reasons, we believe we help “build bridges to better health” by closing critical gaps, especially as they relate to the need for coordinated care by a team of providers able to address all aspects of the patient’s physical, social, emotional, and occupational functioning. Integrity: Honoring our commitments and building trust and respect by conducting ourselves honestly in an ethical and straightforward manner in all dealings. Partnership: Creating successful outcomes through enduring and mutually beneficial partnerships with service providers, service underwriters, and referring professionals. Development: Fostering the personal growth of individual clients and the professional development of our service providers. Service: Relentless dedication to meeting the needs of all our stakeholders. Positive Change: Bringing about positive change in children’s lives. Stonebridge is headquartered in San Antonio, has offices in Lubbock and Austin and also serves Amarillo, Corpus Christi, Dallas-Ft. Worth, Edinberg, El Paso, Harlingen, Houston, Laredo, McAllen, Midland-Odessa, New Braunfels, San Angelo, Tyler, Victoria & and other Texas cities on request.